WEAPPEAR.COM is a nationwide resource providing local counsel coverage as your associate in court, at depositions and more. "Use weappear.com to act as your associate in every courtroom." "When an attorney can't be in two places at the same time... weappear.com." "Maximize your time and build your business by using weappear.com"
Our service is accessible at any time via an internet connection. Even if an "Emergency" comes up, submit the request and give us a call. Anytime or anywhere you can easily track and manage your Appearance or Service Requests from one central program. Features of the online program will provide you with the ability to Schedule, view progress, update, reschedule or even cancel your Appearance or Service Request online. 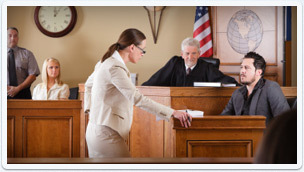 In court, at home, or out-of-town just log-in to have direct access to your account.